Qantas has issued a challenge to the world's largest plane makers: Build us a jet that can fly from Sydney to London or New York -- without stopping. The Australian airline wants a Boeing 777X or Airbus A350 that can undertake the epic routes from the eastern cities of Sydney, Melbourne and Brisbane by 2022. "This is a last frontier in global aviation," Qantas chief executive Alan Joyce said Friday as the company reported quarterly results. "This would be one of the most strategically important aircraft orders in the history of Qantas." If Boeing or Airbus answer the call, passengers would spend more than 20 hours aloft between the continents. That's about three to four hours less than the total time for the current journeys, which require a stop in Asia or the Middle East for refueling. No aircraft has ever been able to connect the largest cities in Australia to the U.K. and New York. Punishing winds have severely limited the amount of paying passengers or revenue-generating cargo a flight can carry in order to pay for the marathon trip. Such a route between Sydney and London would beat the world record holder for long distance flying (Auckland, New Zealand to Doha, Qatar) by more than 1,300 nautical miles. A non-stop flight between Sydney and London would clock in at 20 hours and 20 minutes and Sydney to New York would be 18 hours and 7 minutes, according to Qantas. Qantas (QABSY) believes the marathon flights would be more appealing to passengers because it would eliminate the stress of an airport connection. Airbus (EADSF) and Boeing (BA) are both developing new ultra-long-range jets, but Qantas said neither can make the U.S. and European flights from Australia with a full load of passengers and their luggage. An ultra-long-range version of the Airbus A350 is heading to Singapore Airlines in 2018 to reopen non-stop flights between New York and Singapore. That jet, and Boeing's competing 350-seat 777-8, will be capable of flying 8,700 nautical miles in the right conditions. But the Sydney-to-London route is 9,188 nautical miles -- and Sydney to New York is 8,647 nautical miles, which doesn't leave enough of a cushion for headwinds and a profitable load of passengers and cargo. "We believe advances in the next few years will close the gap," Joyce said. Whether Boeing and Airbus will respond to the challenge is yet to be seen. The aircraft with the longest range would earn its manufacturer bragging rights, but adding range may only sell a very small number of aircraft and may be not worth the added expense of development. Qantas -- which has long relied on its Kangaroo route that bounces through Asia to get to Europe -- is pivoting toward more ultra-long-range flights to gain an edge on its Asian and Middle Eastern competitors. 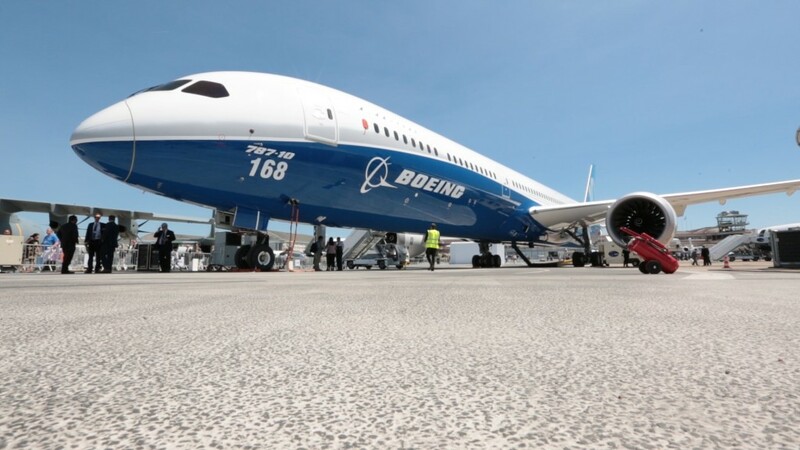 The airline is nearing delivery in December of its first 787-9 Dreamliner from Boeing. That jet left the factory Wednesday. In March, it will open up non-stop flights between Australia and Europe for the first time, connecting Perth to London. The airline has been flying from Sydney to London and New York since 1947 and 1958, respectively, and has steadily reduced the number of required stops along the way. In 1989, it flew a Boeing 747-400 between London and Sydney non-stop, but there were only 23 people aboard, including five pilots and two flight attendants. Qantas today operates a 17 hour and 10 minute service between Sydney and Dallas-Fort Worth with an Airbus A380, the third-longest flight in operation today.